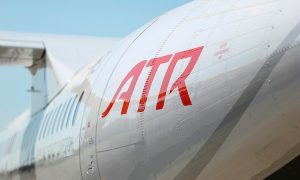 ATR announced the opening of a Representative Office in Beijing, a new milestone in its long history of cooperation with China. For nearly 20 years China has been a strategic partner and supplier for ATR. Key airframe sections and some components of the wings of ATR aircraft are produced by Xian Aircraft Company (XAC), a subsidiary of AVIC. The establishment of the Representative Office in Beijing enables ATR to further develop and strengthen dependable relationships with Chinese partners, potential customers and Chinese authorities. The new ATR Office is located at the Tianzhu Airport. The growing ATR team in Beijing, led by VP Sales China & Chief Representative Wang Qi, will benefit from Airbus’ working platform and experience in China to develop and consolidate ATR’s footprint across the country. “As China boosts short-distance regional air transport among small and medium-sized cities, fuel-efficient turboprops are being recognized as the perfect solution to China’s dispersed yet large population. With low running and maintenance costs, high usage rates and small-airﬁeld landing capability, the new generation ATRs are ideally suited to the Chinese short-haul flight market,” stated Tom Anderson, Senior Vice President Commercial and Customer Support for ATR. 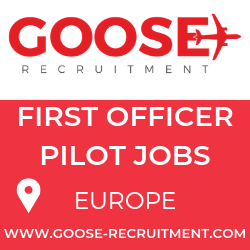 He added: “We see many opportunities where the ATR aircraft can contribute to the development of regional operations and fill a need for optimized connectivity and frequency of service at very competitive cost. Opening ATR’s Beijing Office is a natural step forward in our efforts to build up partner relationships while enhancing our capabilities to meet the customer’s needs”. ATR aircraft are a well proven, high-quality product, ideally suited for regional air routes in China. 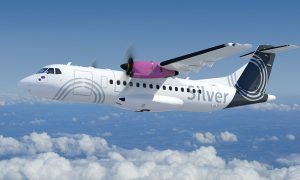 These turboprop aircraft with 50 and 70-seat layouts feature the most modern technology, unbeatable economics and the highest standards of passenger comfort in the regional aircraft segment. 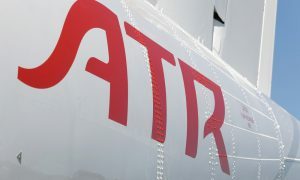 In recent years, ATR has seen great success in Asia, where the ATR aircraft have become particularly popular. There are currently more than 350 ATR aircraft, including more than 100 ATR 72-600s, in operation in the Asia-Pacific region in the livery of 55 different airlines.